Selling your original design patterns online is simple with today's technology. There are many sites that will sell these patterns for you and handle the download process. Most will take a small percentage of the sale to cover their costs. Even with the fees, selling your patterns to other craft enthusiasts is worth the effort. 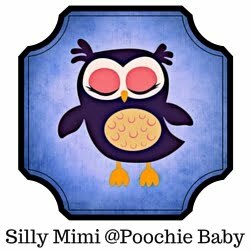 If you don't have the time or knowledge to style, format and create a PDF file for you pattern, Poochie Baby is here to help. I have created many, many patterns to sell online. All of these patterns are in PDF format, which is the required format at this time. (I also sell books on Kindle... but that is a totally different type of file! Email me if you have a kindle book you need help formatting.) I try to condense my patterns into as few pages as possible, while keeping the typeset large enough to read without strain. I also try to reduce the file size for easy uploading and downloading. Styling - I'll choose an attractive font and font size for the pattern. I will also fix the overall "look" of the pattern into a eye pleasing document. Formatting - The PDF file will be formatted for maximum efficiency. All efforts will be put into giving the pattern an easy flow, especially when photos are involved. The file size will be reduced when possible. PDF Output - All finished patterns will be PDF format. This file will be emailed to you when completed. PLEASE NOTE: I am not an editor! I will not re-write your pattern or fix grammatical errors. I also will not fix pattern errors. If I notice these things, I will make every effort to point it out before finishing the pattern so it can be corrected. Payment for this service is handled through PayPal. You may purchase the service through this link, or I can send you an invoice through email. Please email me the original pattern file as an attachment. I will accept a text file or other word processor document that can be converted to Microsoft Word (which is most word processing programs). If pictures are included with the pattern, they must be in the correct positions and already included in the document. Please allow 2-3 days for the PDF pattern to be created. I will email the document directly to you when completed. FYI: All patterns designed by Poochie Baby will have a byline included at the bottom/end of the pattern. There are several sites online where digital pattern files can be sold. Be sure to sign up with them so you are ready to upload your pattern when ready for sale. 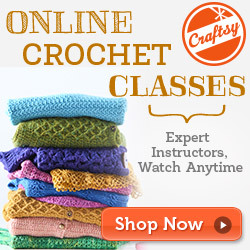 Some of the best sites include: Craftsy, Ravelry, Etsy and Zibbet. You will need photos of your pattern, so, this would also be a great time to choose your photos and edit them as needed. Think about it. All you need to do is put together a well written pattern, with photos if necessary, and upload it to the online site for sale. Once the pattern is there, you just sit back and collect the money from the sales. It makes for great residual income. You will need to have a PayPal account in order to get paid through these services. It just makes sense to have an account anyway. PayPal is so flexible and you can even send and request money just using an email address. Join ranks with other pattern designers and make your presence known online.